The main reason for not having access to your old blog is the hosting provider either being down forever or abruptly cancelling your account without prior warning. The latter is the worst case: the hosting provider will put a redirect to their promo section or 404 ad-filled page to show for your still incoming visitors. If it was a free hosting, you most probably won’t be able to register the same third level domain again, unless you subscribe to premium plan. If you had a really high rank and traffic site, the taken domain will be auctioned off to the highest bidder. That is exactly the reason why it is always better to have your own independent paid or free domain: you gain immunity from the hosting provider marketing extortion. However, timeo Danaos et dona ferentes. So your first natural step is to shake off the parasites. Login to Webmaster tools of the search providers your site is indexed by, and request removal of all the indexed pages from the search results. If you don’t have the site claimed in Webmaster anymore, use the search provider public tools to at least remove cached pages from search results. Eventually, the site will be crawled again and search results won’t contain your data anymore, as the hosting provider ad page obviously misses it. Meanwhile, setup a backup site. It is very important to have the same permalink structure as you had in the old one, for similar search results. Submit and verify this new site to search engines. Since change of address is not available for third level domains, you have to wait while the robots crawl your site again. Your next step is managing the pagerank. Delete all reference to the hijacked site URL from the resources you have control of, like Facebook and Google+ pages of your site. However, you can’t modify the links in forums and other people’s social media. 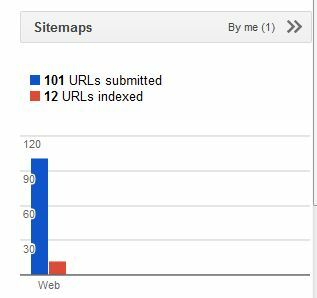 So, export the referrals statistics from your blog Stats or Google Analytics page, and try to contact the owners of the resource your old site had most hits from. Politely ask them to change the links in their posts: most people don’t like link rot as much as you do. For links from forums and other groups, register in them and post the updated URLs in the same threads. Following these guidelines should make your site recover from domain loss as quickly as possible.